Yesterday I was at the world premiere of The House with a Clock in Its Walls at Westfield London and I saw the wonderful Jack Black, Cate Blanchett, Eli Roth and Owen Vaccaro! Check all my pics inside. The cast of Ocean’s 8 hit the red carpet in London’s Leicester Square last night for the movie’s European premiere – and here are my pics! On Wednesday night, Jessica Chastain and Idris Elba hit the poker-themed green carpet in London’s Leicester Square for the U.K. premiere of Molly’s Game alongside writer/director Aaron Sorkin and the real Molly Bloom, and you can check out all my pics below! On Monday night, the cast of Guardians of the Galaxy Vol. 2 came to London to premiere to movie at the Hammersmith Apollo, which is traditionally a music venue. It was an odd choice and like no premiere I’ve ever seen, for better or worse, but I took plenty of pictures of it all to show you. On Sunday night, the stars of The Intern graced the red carpet in London’s Leicester Square and I have all the gossip from the event, which starred Anne Hathaway, Robert De Niro & writer/director Nancy Meyers. 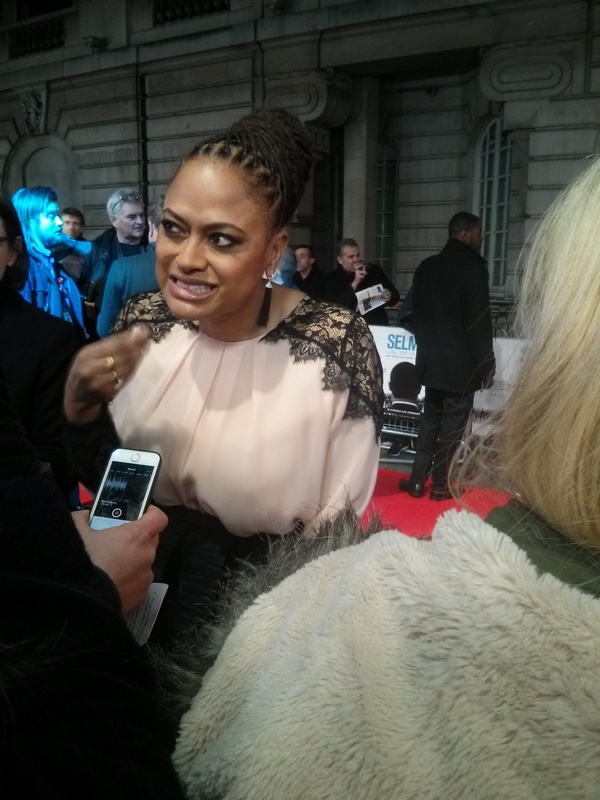 The stars of civil rights movie Selma came out for the London premiere at the Curzon Mayfair on Tuesday night and I simply had to ask director Ava DuVernay how she felt about the movie, about Martin Luther King, Jr., being snubbed in most categories at the Oscars (except the big one – Best Picture). Viggo Mortensen, Kirsten Dunst and Oscar Isaac come out in London on Tuesday night to celebrate the release of The Two Faces of January, their new thriller, out in U.K. on Friday. 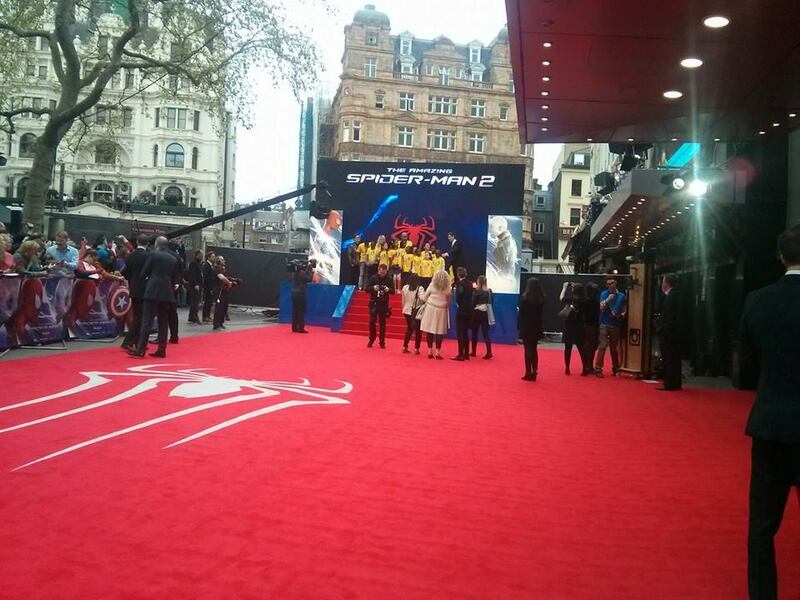 Tonight the stars of The Amazing Spiderman 2 came to London’s Leicester Square for the world premiere and here’s the inside track. What a sweetheart. He arrived early so he could fit everyone in but he was still running late because he was being so attentive to everyone. That sounds like I’m kissing his arse but I honestly didn’t think really highly of him before tonight but he has changed my opinion of him completely. The nicest, most genuine guy. He wanted to please everybody, he had great energy, tried his hardest to see everyone and give great answers to questions we asked even though he was under pressure, running out of time and the film was waiting for him to start.